A huge field came out to play on a gloriously sunny afternoon with the chance for many to have a first try out a course last used in 2012 – and then only for a low key New Year’s Day 10. Called into action due to road works on the normal Waters Upton – Peplow course, the Cold Hatton – Shawbirch 10 attracted a fabulous field of 62 riders for the second SCCA Spring event, with some stiff competition seeing Matt Garthwaite coming out on top of the pile in Round 3 of the SB Sports Injuries Series. Garthwaite stopped the watch on 21 minutes 13 seconds to push Round 2 winner Chris Halford into the runner-up spot by 38 seconds – but he revealed it had been a last minute decision to ride and that he suffered on a course that throws in a requirement to dig deep due to it’s rolling nature: “I procrastinated about training in the morning and eventually pulled my finger out and decided to ride the time trial. It was great to meet up with everyone, however the race was about as grim could be expected“. 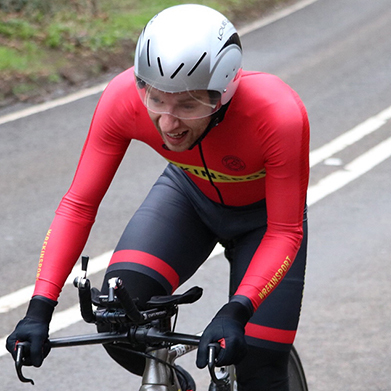 Garthwaite wasn’t the only one to be caught out judging their effort on the course, with a rise shortly after the start, a half mile drag to the Shawbirch island turn and – catching out the uninitiated – pulls to Crudgington cross roads and Sytch Lane. Halford revealed: “I went out too hard and definitely paid for it in the last few miles. A great time by Matt“. Halford’s 21:51 was good enough to elevate him into the joint lead overall in the SB Series, a position he shares with 201 8 Silver medallist Ed Middleton, who finished 8th on the day in 22:59. 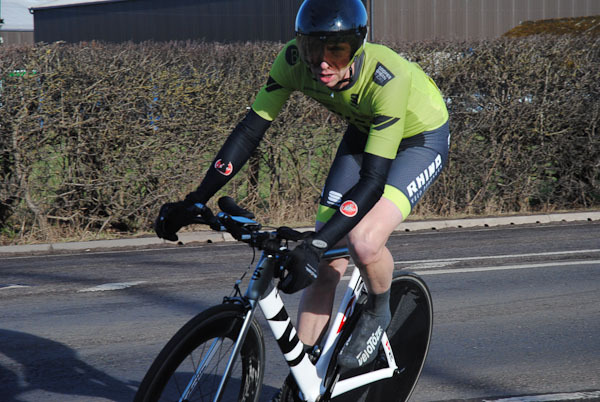 Just five seconds behind Halford SCCA Private Member Dan Watts dusted off his time trial bike and set a great time of 21:56, pushing out reigning champion Ian Nisbett by 23 seconds. 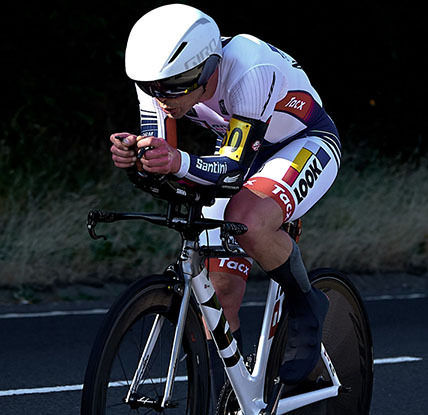 Watts stated: I was pleased with the time for my first ride on the time trial bike this year, plenty more to come this after a few more rides. The course is one that I haven’t been on in over six years and makes a nice alternative from the Peplow pavé. 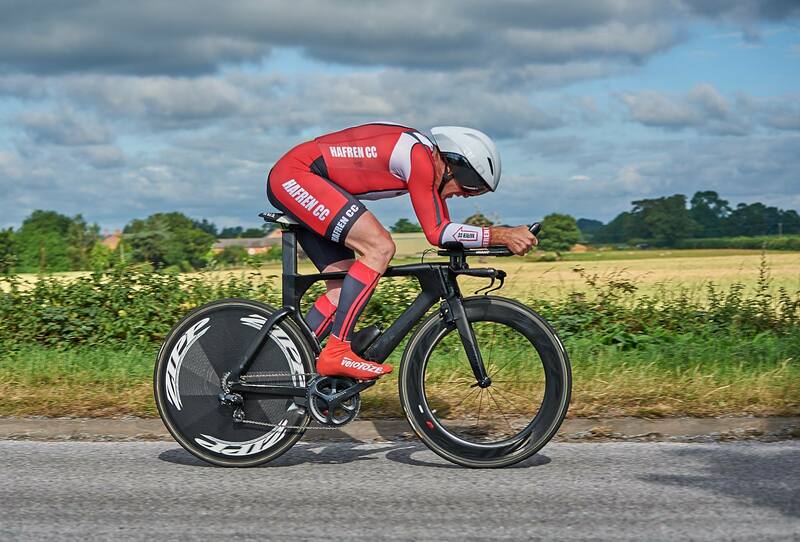 Halford wasn’t finished for the day with his +4:45 taking the Veteran’s runner-up spot by 11 seconds from Tony Harvey but behind Nova Raiders’ Deb Hutson-Lumb, with the Nova Raider setting a fabulous plus of +5:05 to take the win – and a vital two extra points over Halford. This propelled the pair into joint lead of the SB Veteran’s Series – though Hutson-Lumb had further reason to celebrate after also winning the Women’s race in 24:22 and narrowing the gap at the top to Hafren CC’s Louise Hurdley to six points in the process. Hutson-Lumb stated: “I was very pleased to get the Women’s and the Veteran’s, and it was good to not be riding the Peplow pavé again! I’ve not ridden the course as a 10 before, and keeping a bit more in the tank for the draggy last couple of miles will be the plan for next time. Many thanks to everyone involved for another fabulous event“. 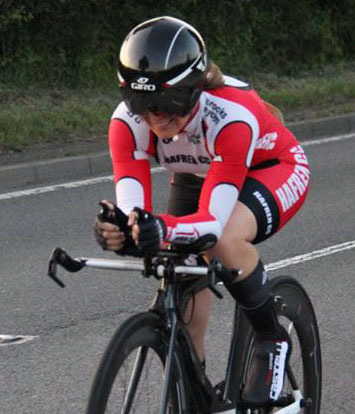 Hutson-Lumb’s nearest female competition came from team mate Jenny Newton, who hove into view of the finish battling with Women’s Series leader Louise Hurdley, with the pair finishing just a second apart on the road. Newton posted a good time of 26:03 and revealed that spotting Hurdley ahead had acted as a giant spur: “I really liked the course, I felt positive and strong from the start. It was an adrenaline rush when I saw Louise, but she didn’t make it easy for me – I caught her, she caught me back then I caught her again just before the finish line. I’m very happy with second and with my time. Thanks to all helpers“. At the top of the Junior competition Henri Bedford stretched his Series lead to 10 points thanks to a personal best 22:57 – the first time he has beaten 23 minutes. The 16 year-old finished a strong 6th overall and clearly dug deep in the final 300 yards as he crested the brow before the finish, digging deep to dip below the 23 minute mark and push out James Satoor by 13 seconds. He stated: “I enjoyed the new course and am keen to have another go – it’s always nice to ride something new. A great turn out and well done to everyone who rode and marshalled“.